From the main web page of the project you can access the platform and the observatory. Just register for free (only for the platform) and use the available tools. The decision support system tool (DSS) is available. The application has been developed within the framework of the task group GT1, coordinated by the Iberian Institute of Nanotechnology (INL) and ITENE. The event was held at the INL installations in Braga past 18th October. 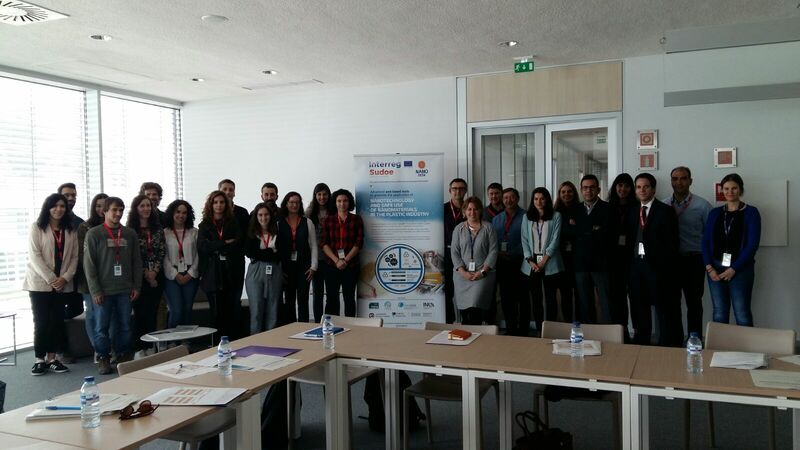 More than 25 people participated in the workshop inaugurated by Begoña Espiña, Leader of the Water Quality Research Group within the Department of Life Sciences at INL and host of the event, and Carlos Fito, from ITENE, coordinator from the NanoDesk project. During the 3 thematic sessions, presentations from partners of the Project and from external companies and institutions were alternated, such as José A. Covas from PIEP, Vanessa Ventosinos from CTAG, Carla Silva from CENTI, Víctor Valcárcel from NKR or Yohan Oudart from NanoMakers. The agenda for the meeting of the General Assembly of the NanoDESK project is now available, in which the contents of the project will be updated and presented to date. The meeting will take place from October 17-18, 2017 at the facilities of the Iberian Institute of Nanotechnology (INL), (Avda. Mestre José Veiga s / n, 4715 Braga, Portugal), and registration is free. 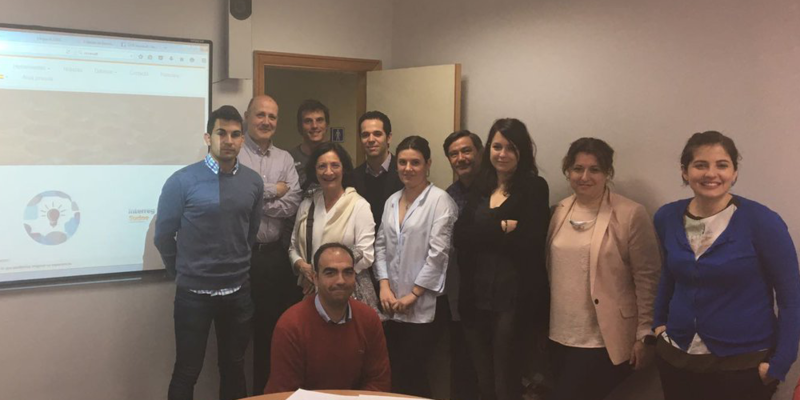 The working group of the Rovira i Virgili University (URV), in collaboration with the partners of the project, have designed the first version of the application of advanced search of information relative to the applications and properties of nanomaterials and nanocomposites. The application will be accessible in the "Results" section of the project website at the end of September 2017. Do not hesitate to consult with us through the contact form to access a trial version and collaborate in the optimization of the application. No dude en consultar con nosotros para acceder a una versión de prueba y colaborar en la optimización de la aplicación. Puede hacerlo a través del correo electrónico cfito@itene.com. On March 28th was held in Valencia (Spain) the Technical Conference “NanoDesk – Advanced web-based tools to promote the application of nanotechnology and the safe use of nanomaterials in the plastics industry”, organized by ITENE as coordinating entity of the NanoDesk project. The inauguration of the event was given by Mr. Fernando Sáez (Technical Sub-director of INVASSAT) and during the open debate after the presentations, Mr. Ángel Lozano (Director of the Spanish Plastics Center) was invited to participate. He highlighted the interest of the NanoDesk Project to the plastics industry, and the need to sensitize companies about the possibilities of nanomaterials. The conference presented the scope of the NanoDesk project, which aims to promote nanotechnology as an essential technology for the development of new high value-added plastic materials based on the use of NMs and address current barriers to investment in nanotechnology by more than 6.500 companies, most of them SMEs, that make up the plastic sector, providing them with new tools to cover their technological and training needs, contributing to the improvement of their competitiveness. The NanoDesk platform constitutes a relevant advance in the matter, placing itself as the first tool capable of generating robust information on the applications and risks of nanomaterials of greater relevance for the plastics sector. Keep up to date with the latest news on nanotechnology by subscribing to our newsletter.